All El Cajon homes currently listed for sale in El Cajon as of 04/22/2019 are shown below. You can change the search criteria at any time by pressing the 'Change Search' button below. 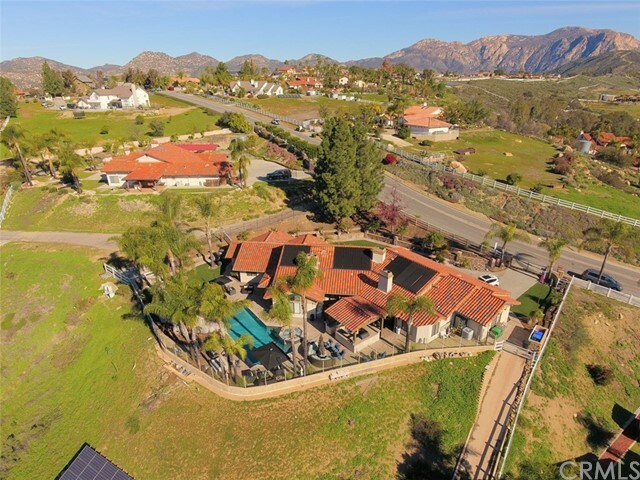 "20 acres of land with partial 1-acre zoning in the highly sought after Granite Hills Community! 360 degree panoramic views of city lights, mountains, golf course. Rare Granite Hills residential build-able land. Large home sits on 4 acre parcel. Lot line adjustment to adjacent land creates possibility to build additional homes with subdivision. Existing home estimated value at $1.3M so each additional acre for sale at $136,000-$142,000. Easy access to freeway, shopping and schools. See supplement"
"4 acres of land with 1-acre zoning in the highly sought after Granite Hills! Large home with 360 degree panoramic views of city lights, mountains, golf course! Home sits on 4 acres with 1-acre zoning so potential to build 3 more homes with subdivision. Surrounding homes at 1M+ Take advantage of this rare opportunity to live and possibly build new homes in Granite Hills. Home estimated value at $1.3M so each additional acre for sale at $216K-$233K. Easy access to freeway, shopping and schools. S"
"Rare opportunity to live in your own private, gated hillside estate with 360 panoramic views. This exceptional home features 6+ bedrooms, 4.5 baths, home office, massive den with overlooking loft, large eat-in kitchen, high ceilings, 3 fireplaces, huge 4 car garage and gated circular driveway with enough parking for all your friends and family. Enjoy your weekends in your resort-style backyard with heated pool/spa, tennis court, multiple patios and BBQ area. This is a home you won t want"
"Are you looking for Resort Style Living in East County? This exquisite, single level home in Shadow Mtn Estates features breathtaking views stretching to the Coronado Islands! 4+ beds, 4 full/2 half baths, 6 car garage, plus 43' Double Wide RV garage, Andersen Wood Clad Windows, OWNED 25KW Solar Electric System-66 panels.. Stunning kitchen with 6 burner gas stove, bread warmer, dual oven, butlers pantry etc. Backyard's an entertainers DREAM with builtin BBQ, pizza oven, pool, Jacuzzi, gas fire p"
"A grand custom estate on 2.28 acres in the highly desirable area of Blossom Valley!! This stunning beauty features 5 bedrooms and 4 bathrooms in the main house and a detached guest house with an additional bedroom and bathroom. True pride of ownership and completely upgraded with over 300K of upgrades. Amazing kitchen w/granite counters, backsplash & Elite SS Kenmore appliances. Industrial manufactured hardwood floors, vinyl dual pane windows, 5 baseboards, crown molding and durable Cal Pac meta"
"Take a step forward to better living and view this gorgeous home with sweeping panoramic views from Mount Helix to Crest. This beautifully designed ranch style has open-floor plan with rich interior to highlight the views and allow in an abundance of natural light. A must see to truly appreciate, it will be love at first site as you walk up the lush entryway with the sound of waterfalls to opening the door for the first time and being met by stunning valley and mountain views. See supplement.."
"Custom Built Single level Ranch home with Lake views sitting on 2.32 acres in the highly sought after Blossom Valley neighborhood. This home boosts a large detached motor home garage w 5 car garage-plus a 2 car garage attached too the main house! Sunset views over the lake are picturesque with lush landscape and large trees all throughout this property! Move in ready with custom upgrades throughout make this the perfect opportunity to make this your home today! See supp.."
"ABSOLUTELY STUNNING PANORAMIC 360 DEGREE VIEWS FROM THIS GATED HILLTOP ESTATE & THIS ONE IS LOADED, INCLUDING BEAUTIFULLY REMODELED KITCHEN WITH CENTER ISLAND, GRANITE COUNTERS & HIGH END STAINLESS APPLIANCES, THE MOST INCREDIBLE FAMILY ROOM YOU HAVE EVER SEEN WITH FLOOR TO CEILING WINDOWS, HUGE GAME ROOM, OUTDOOR BBQ/PATIO WITH FIREPLACE, INFINITY EDGE POOL, WITH ROCK WATER SLIDE & WATER FALLS, INCREDIBLE GROUNDS WITH PUTTING GREEN, HORSESHOE PIT, WALKING TRAILS, 6 CAR GARAGE, PAID FOR SOLAR &"
"Tranquil, panoramic views and an entertainer s backyard are yours to enjoy from this extraordinary Mount Helix estate, resting upon over 1-acre of professionally landscaped grounds, presenting an idyllic environment for lavish parties as well as everyday living. Filled with natural light and a timeless appeal, the open-concept floor plan features 4 bedrooms, 2.5 custom bathrooms, pecan wood flooring, and a gorgeous great room with a fireplace perfect for family gatherings. Creating your fav"
"Exquisite, private estate in coveted, gated community on over 16 acres w/golf course and mountain views! Thoroughly remodeled and turn-key w/new flooring, baseboards, paint, upgraded bathrooms, kitchen, lighting, landscaping and more. Enjoy the extended outdoor living space with infinity edge pool and spa, BBQ island, fire pit, lounge space plus outdoor shower. Many additional upgrades including commercial grade exterior lighting, Bose surround sound (interior/exterior), and more! See virtual to"
"This one of a kind gated estate with Mediterranean flair on ONE acre lot features professional landscaping & circular driveway leading to commanding entry doors. Inside are granite flooring, three fireplaces, french doors, new chandeliers, master bedroom retreat, master bathroom with jetted tub & separate shower, upgraded kitchen with new granite counter top, dry bar in family room, and tons of storage in garage. SOLAR SYSTEM OWNED FREE AND CLEAR. The large sun room leads to ... see Supplement f"
"This exquisite upgraded Blossom Valley view home sits on 2-acres with over $100K in recent upgrades! Including New roof, exterior and interior paint including gorgeous custom stone work! Home theater and WiFi wiring, yard landscape up-lighting, a beautifully reclaimed wood fireplace mantel, master walk-in closet with a fireplace! Thermador appliances in the gourmet kitchen, hardwood throughout and plantation shutters. Enjoy entertaining with the award winning infinity edge pool and breathtaking "
"Beautiful highly upgraded 2,957 sq ft view ranch home 2.19 acres w/guest house! Room for horses, RV's, pool, etc. Travertine flooring/wood throughout. Large master suite w/jacuzzi tub and shower w/body jets. 3 bedrooms have own bathrooms. Gorgeous kitchen w/center island, eat-in area, SS Monogram appliances & 2 colors granite. Media closet is wired for everything imaginable. Indoor laundry room. Rear large patio. Guest house has 1br/1ba 1200 sq ft."
"Desirable and beautiful single level Blossom Valley Custom Estate. This Gem of a Home is full of character and charm. 180 degree, Panoramic Mountain, Valley, Sunrise & City Light Views surround this tranquil and private property. Open and spacious layout . Nothing has been spared in the custom design of the award winning Kitchen, Bathrooms, Living Room and the premium Outdoor Living Amenities. Look forward to enjoy a Glamorous Pool, Jacuzzi, Waterfall, full-size Cabana, BBQ, Terrazzo Counters an"
"Are you looking for an amazing home located a street of dreams, in El Cajon? This stunning English Tudor Estate is truly one of a kind. The highly desired Mt Merritt neighborhood is close to great schools, shops & easy freeway access! The custom interior features 4 bedrooms, 2 optional rooms, 3.5 baths, 3 fireplaces, high/vaulted ceilings, plantation shutters, leased solar & more! Entertainer's backyard with large party deck, expansive views, pool, Jacuzzi & 180 degree views! MUST SEE!" "STUNNING COLONIAL BEAUTY 2-Story, 5,538 Sq Ft beauty features: Spiral staircase,4 Bedrooms,4 Bath, large kitchen, pantry, amazing library,theater room, laundry room,safe room,wrap-around deck, 4-car garage with RV and toy parking. Brazilian walnut flooring, custom mill work, dual whole-house vac systems, solar powered, smart-home wiring,completely fenced w/ electric gate,security system & fire sprinklers. Meticulously built and maintained with top-of-the-line construction upgrades. See Supplemen"
"$995,000-$1,145,000.Sprawling Single Story Estate Boasts Privacy & Serenity Offering Ultimate Relaxation & Seamless Indoor/Outdoor Living. Enter Through Bold Wrought Iron Front Doors Into Exquisite Craftsmanship, Unexpected Lines & Brilliant Architectural Design That Maximize Luxurious Living. Rich Details Throughout Include Hardwood/Travertine Flooring, Impressive Stone Fireplace, Artistic Accent Lighting & Immaculate Master Retreat. Grounds Feature Mountain Views, Pool/Spa, Family Orchard & OW"
"Spectacular value in gorgeous Blossom Valley. Gated 2 acres estate with open mountain & valley views. Entertainers delight with zero edge pool and plenty of room for multiple cars. Light & bright open 2 story design with palatial ceilings, hardwood floors, custom arched entry door. 3 fireplaces with stone accents. Stunning kitchen with all the bells & whistles! Beautiful landscape & hardscape, SOLAR OWNED! Hurry, this one won't last!" "Spectacular Singing Hills Estate w/ Detached Guest House / City & Mountain Views / Brand New Carpeting / Pool, Spa & Waterfall / Over-Sized 3 Car Garage / RV Parking / Large Bonus Room Over Garage / Recently Painted Exterior / 15 X 20' Storage Building / Lush Landscaping on 1.24 Acres / Dual Forced Air Heating & Air / Plus a 6 Camera (Upgradeable to 16) Video Surveillance System! An Ideal Home with Plenty of Room For Your Toys, To Run an In-Home Business, for Multi-Generations, or to Just Sprea"
"Challenge Ranch is an ideal equestrian facility with current accommodations for 28 horses on 9.68 acres. The property is intentionally designed: the 90x180 arena boasts DG base, pepper tree shaded viewing platform for guests, overhead lights for evening arena work and is easily viewed from the main house backyard deck & pool area. The private .5 mile Rim Trail circles the property's perimeter & provides riders opportunity to stroll past paddocks, over natural jumping obstacles and thru seasonal"
"Beautifully Renovated Fletcher Hills Home. Open Concept Living area. Gourmet kitchen with Calcutta Quartzite Island, Shaker Style Cabinets,and Stainless-Steel Appliances. Mediterranean Solid Oak Wide Plank Flooring, Large 50 Foot Deck. Game Room and Custom Antique Bar with Bedroom/Office on main level. Master en-Suite, 3 Large Bedrooms, 2 Bathrooms and Laundry all downstairs. Entertaining for a crowd is easy to do in this big beautiful home along with a Pool, Spa, Outdoor Shower and 4-Hole Putti"
"Absolutely stunning! This gorgeous custom home has every amazing feature you would want in your dream home; Large kitchen island, high end appliances, open floor plan, light bright colors throughout the home, etc. 3.76 acres of land and incredible views. Equipped with a modern style pool and spa with a stoned entertaining patio for those summer evenings! The storage in this home is amazing, large master walk-in closet that wraps around and dual vanities in master bath. Neighborhood is quiet. Com"
"COME ENJOY YOUR CUSTOM BUILT DREAM HOME LOCATED AT THE END OF A QUIET CUL DE SAC. THIS 4 BEDROOM 3.5 BATH HAS BEEN UPGRADED THOUGHOUT. LARGE KITCHEN WITH STAINLESS STEEL APPLAINCES, GRANITE, AND OVER SIZED CENTER ISLAND PERFECT FOR ENTERTAINING. SKYLIGHTS, CUSTOM REAL HARDWOOD FLOORS, PRIVATE MASTER RETREAT WITH DUAL PATIOS. HOUSE SITS ON A 1/2 ACRE LOT WITH SPARKLING POOL & SPA, BUILT IN BBQ AND PLENTY OF VIEWS. 3 CAR ATTACHED GARAGE PLUS RV AND BOAT PARKING, WORKSHOP AND PLENTY OF STORAGE "